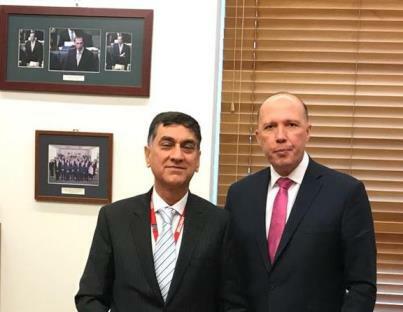 The High Commissioner for Pakistan, Mr. Babar Amin met with the Australian Home Affairs Minister Mr. Peter Dutton to discuss bilateral cooperation on issues related to Security, Border Management and Combating Transnational Crime. The High Commissioner Mr Babar Amin conveyed desire of the Government of Pakistan to further strengthen cooperation between the Ministry of Interior and the Department of Home Affairs of Australia. Appreciating the strong security cooperation between the two countries under the Joint Working Group on Border Management and Transnational Crime, the High Commissioner Mr Babar Amin stated that Pakistan looked forward to its next meeting in Canberra. He also raised the consular matters pertaining to the Pakistanis in Australia and visa difficulties faced to Pakistani students and businessmen. 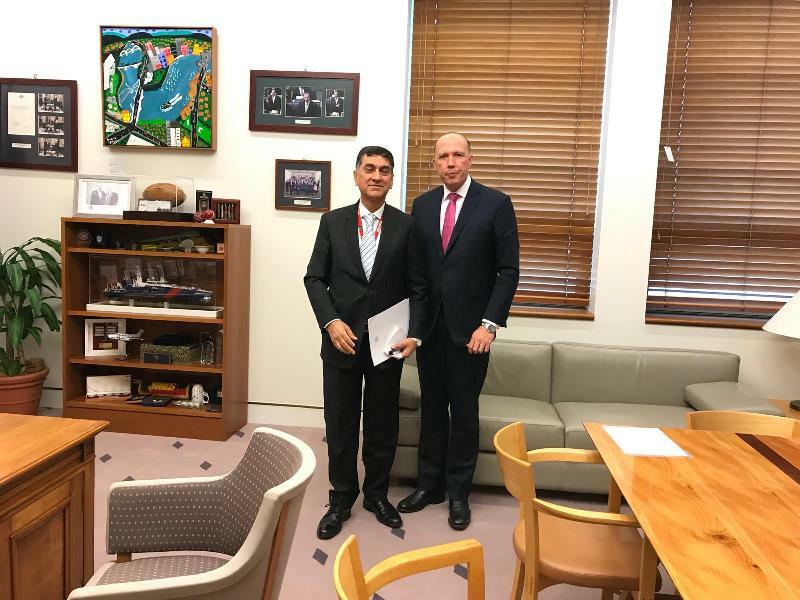 The Minster for Home Affairs Honourable Peter Dutton stated that Australia attached great significance to its relations with Pakistan including in the areas of combating transnational crime and border management. He expressed the desire to further strengthen pragmatic cooperation particularly under the domains of security, counter terrorism and combating sophisticated crimes. The Federal Minister Hon. Peter Dutton also assured to look into the delays in visas to the Pakistani students and businessmen.